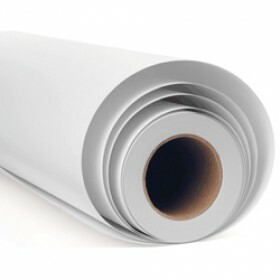 Inkjet Printable Self Adhesive White Vinyl roll - Grey Back 24"
Grey backed for a higher quality finish, our self adhesive white vinyl is 120 microns thick and 30 meters in length. Its printable matte coating is for uv pigment inkjet printers. Drying time is required or by the use of a heater. Grey backed for a higher quality finish, our inkjet self adhesive white vinyl is 120 microns thick and 30 meters in length. Its printable matte coating is for uv pigment inkjet printers. Drying time is required or by the use of a heater. 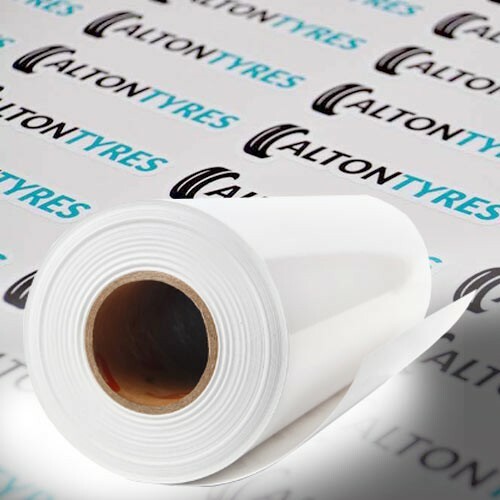 Laminated (Recommended) Protected inkjet decals have approximately 4 years life resistance outdoors, depending on the extent of exposure to UV light and weather, we also stock single sided and double sided lamination film for any project you may have. Un-laminated (short term) Even the best inkjet printers designed to print decals will give you at best 6 months outdoor life, depending on the extent of exposure to UV light and weather.